His Thursday Next series are a must-read for fun and quick reading.This is his third book in the Thursday Next series, and as usual, completely filled with allusions to literary characters. I highly recommend that you read Jane Eyre, Macbeth, Anna Kareina(is this how you spell it? ), Wuthering Heights, and Great Expectations before starting this book. 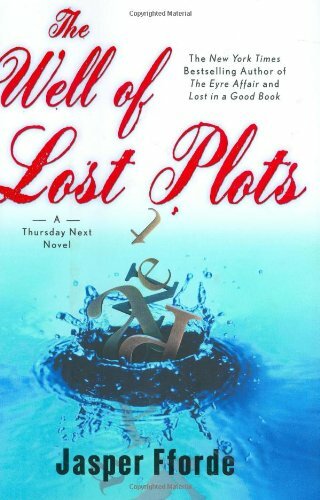 As in the first and second books (The Eyre Affair and Lost in a Good Book), the Well of Lost Plots does not fail to satisfy in the imaginative realm. There are a lot of spoofs to modern-day devices like handphones with footnoterphones, some really cute philosphical questions about God and the Universe, extinct-but-not-yet-extinct-Dodo birds, book-jumping, and many more. Really clever. However, I found that this book, as compared to the first two has somewhat lost some of its charm and novelty. It seemed rather strained, as if the author was trying too hard to impress us with clever plot devices. But overall, good book for light reading. Just be sure to brush up on your knowledge of books, unlike I who had to do some quick re-reading of Great Expectations and finished Sense and Sensibility in record time. Available in any bookstore.